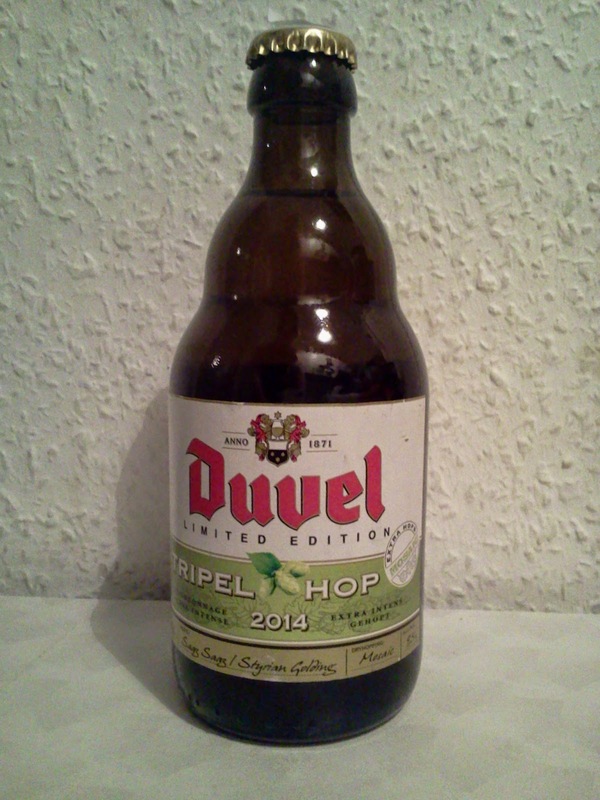 Mosaic hops have been quite popular recently, so it was no surprise that Duvel decided to use it as the third hop to create this years Tripel Hop. 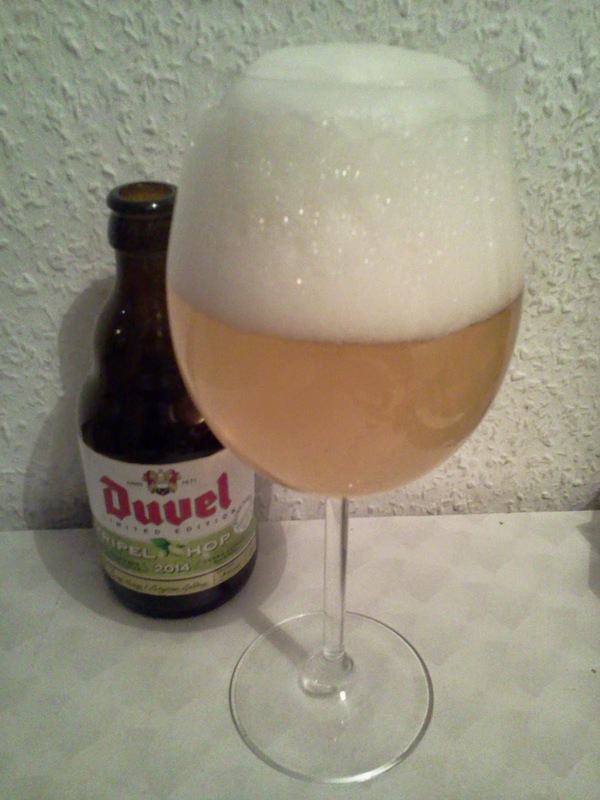 This light gold beer had a big head and was highly carbonated. 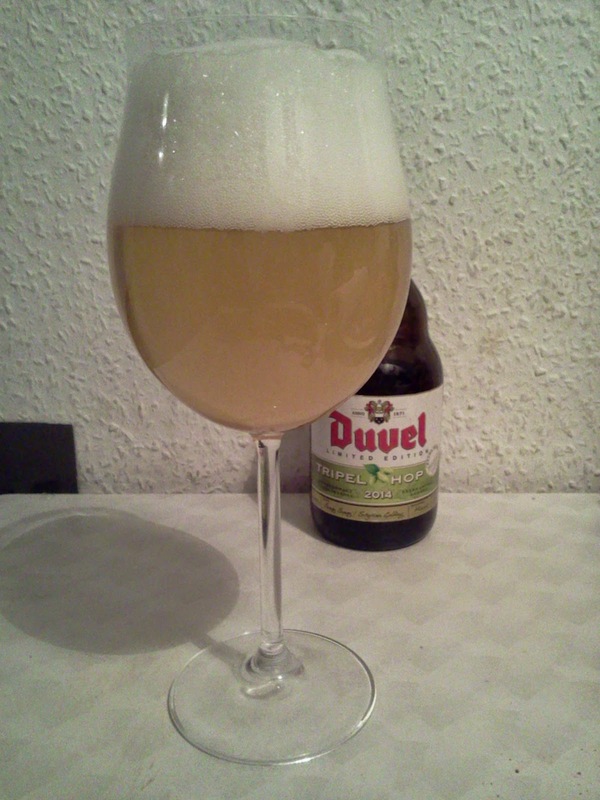 Grapefruit, citrus, yeast, and uncertain tropical fruits made the aroma. I could taste, berries, grapefruit, green apple, citrus, pear, yeast, and light alcohol. This big beer wasn't as bitter as I was expecting. 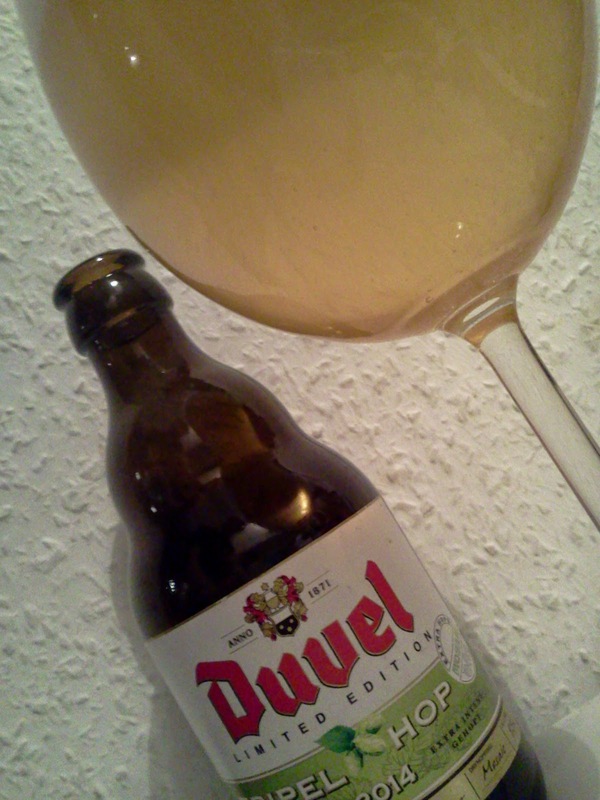 I was also surprised that the hops sat back a bit from the yeast in the flavor. 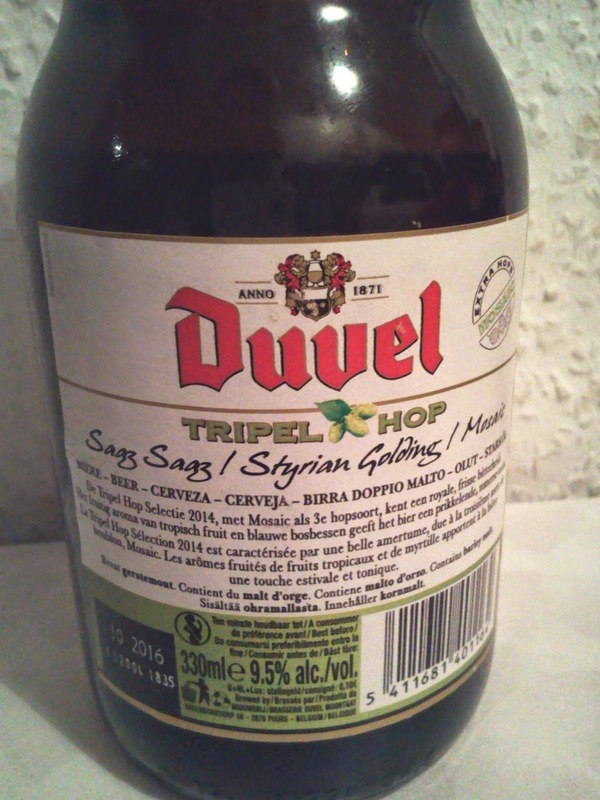 The was a very interesting beer, and I hope I get to sample future versions of Tripel Hop.